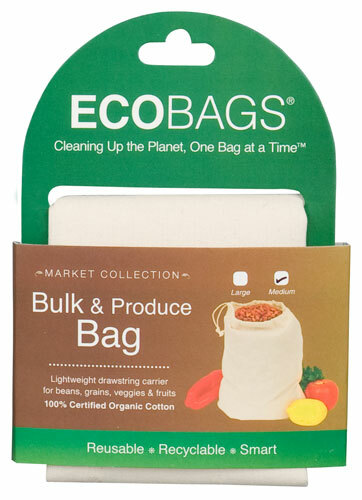 Priced as low as $4.27! 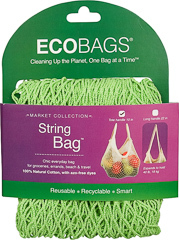 Now, it's easy to merchandise ECOBAGS String Market Bags™. Available in a rich variety of assorted colors, these classic cotton net bags are an international favorite for shopping and travel. 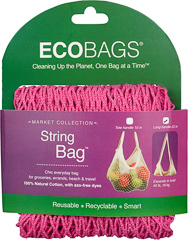 They conveniently expand, are comfortable to carry and compact easily for storage. 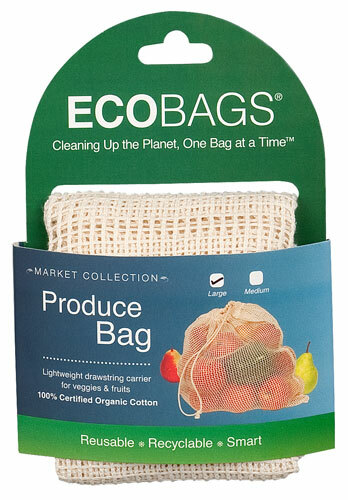 Your customers are looking for reusable bags in Produce, Bulk & Natural Lifestyle departments as well as at the register. Our new retail collection is eye-catching and informative, displaying beautifully on hooks and clip strips. A special note about the packaging - We created this collection based on our buyer's requests. We were able to create it with FSC recycled paper stock &low impact inks. Prices above are by the case pack containing 10 bags.